No easy games in European football…but this should be an easy-ish one. Our visitors did well to finish fifth in the Portuguese league and qualify for European competition this season. However, they clearly look the weakest team in Newcastle’s group and should be despatched comfortably tonight, even if we have our usual mix and match European eleven out. The visitors’ two points have come from home draws with both United and Bordeaux, when they scored their only goal of the competition, losing their away matches in both France and Belgium. Domestically, Maritimo lie fifth bottom of the table and have only scored five goals in nine matches. Newcastle might not have been pulling any trees up in the Premier League but after comfortable wins against Club Brugge and Bordeaux they will be expecting to get the win that will ensure we’re through to the knockout stages. 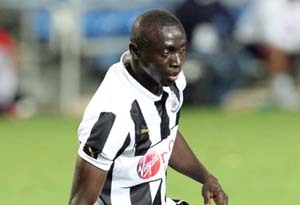 Papiss Cisse looked bright enough in that Brugge home game, apart from getting the ball into the net. It might be wet and windy on Tyneside but the conditions (in terms of opposition) should be ideal as he attempts to find his shooting boots again. In advance of the match, Papiss Cisse has tweeted, “Feeling good for today!!! Come on Toon Army, today is gonna be a good day!!”. Everybody could do with their spirits lifted and with Cisse at one end and captain Coloccini (suspended for Southampton match on Sunday) almost certain to play at the other end, we should have a decent enough spine. 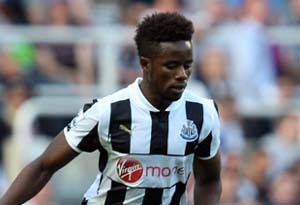 Bigirimana is expected to partner Anita in the middle and when you add in the usual mix of fringe players and odd first teamer, it should be enough to get the job done. A solid clean sheet and a few goals at the other end would be something to build on at Southampton on Sunday. As somebody once said, ‘every journey starts with a single step’. If you haven’t got a ticket yet don’t worry, you can still get them from the box office or you have the additional option of paying on the gate (though a word of warning – I missed the first 15 minutes of the Brugge match as I was still queuing, so get there with a few minutes to spare).